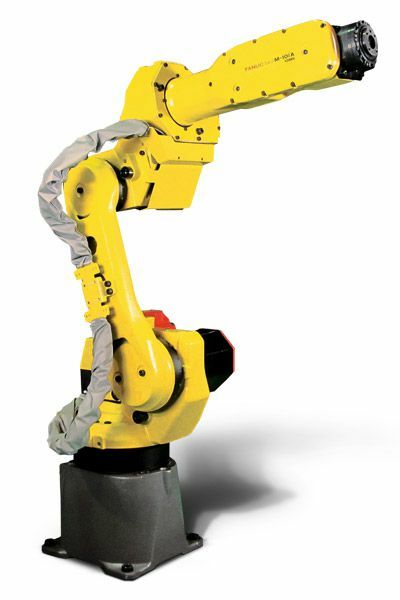 The Fanuc M-10 series, specialized in articulated robots for light load handling, has a thin, hollow wrist that offers greater work space, ease of integration into work cells, and internal wiring to avoid interference with other devices. Robot series provides improved cycle times, high performance and is ideal for applications of collection, pick and place and machine tending. 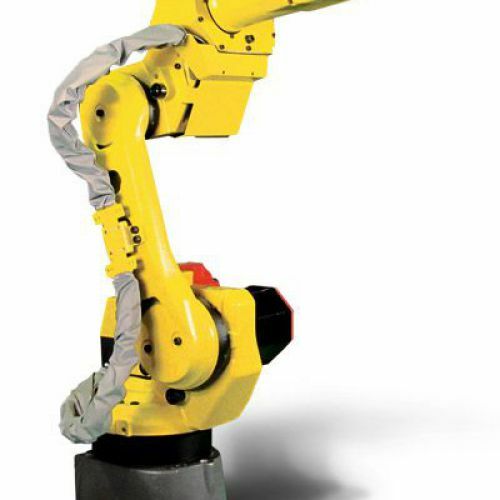 The M-10iA / 10MS industrial robot with compact and lightweight design of short arm, 6 axes, performance and optimized cycle time suitable for applications of collection, pick and place and machine tending. It provides a great saving of space due to its flexibility of mounting position in floor, ceiling, angle and wall.